Top: Klotz Throwing Company, early 20th Century. Silk worms are machines. On a simple diet of Mulberry leaves, a single worm can spin up to 50 feet of silk in a minute, and a single thread can reach up to 2.5 miles in length. 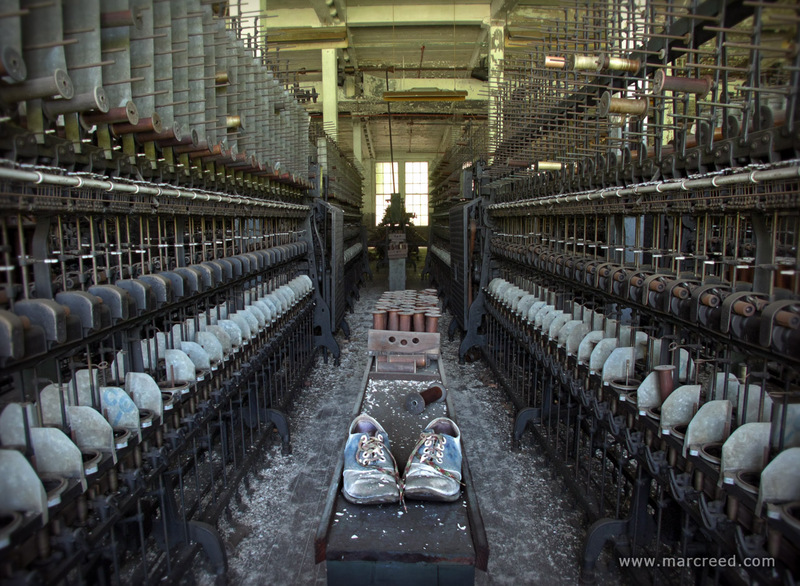 They consume and produce so prolificly it's no wonder they powered one of the world's first industries: The manufacture of silk. 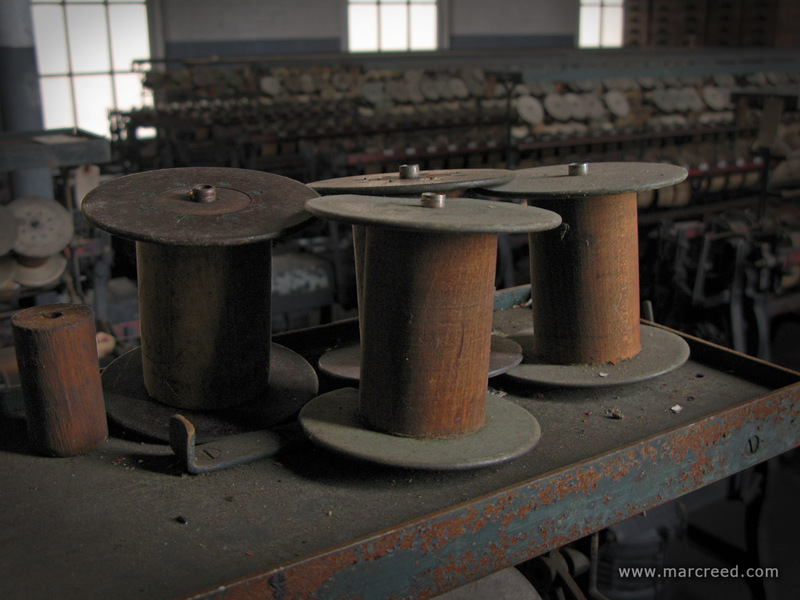 In the days before synthetic fabrics, silk was all the rage. It is soft, satiny, water resistant and flexible yet its fibers have the tensile strength of steel. The stuff was so vital to the Roman Empire's economy that they went to war over it - twice. Henry and George Klots were throwsters in New York during the 1880s. 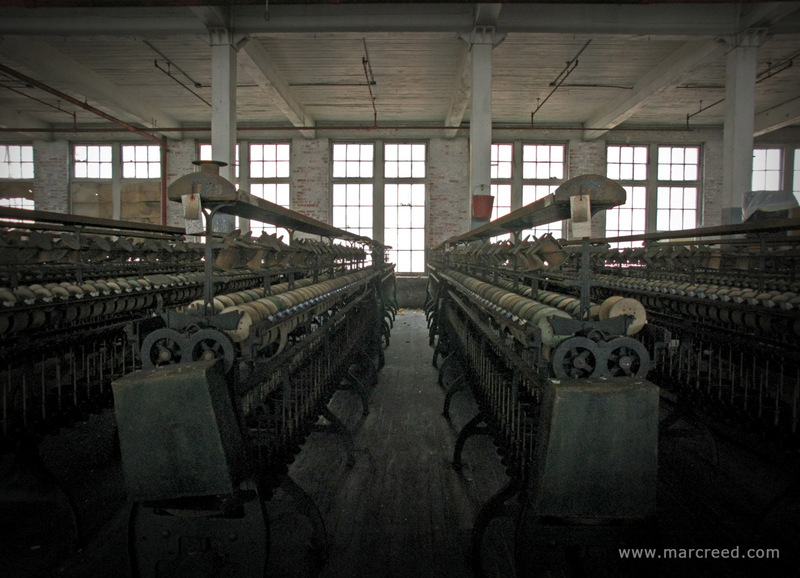 After a mill fire in 1894, the brothers incorporated as the Klots Throwing Company. 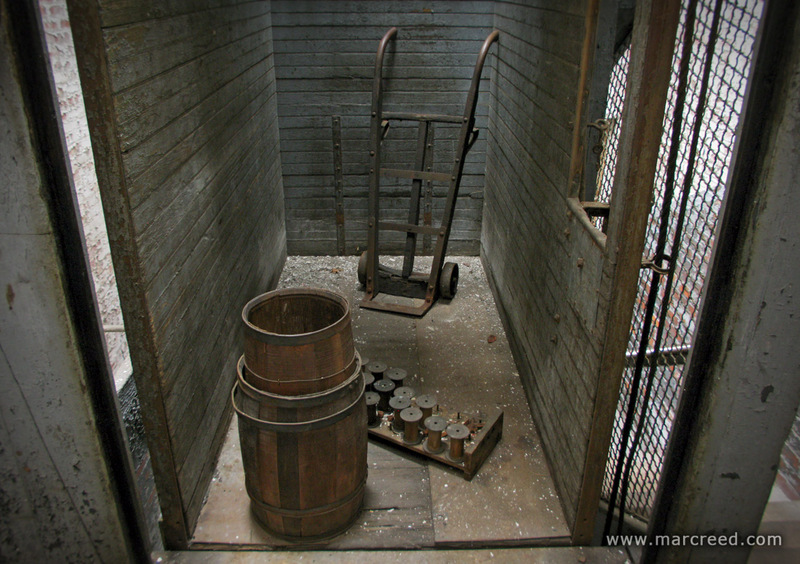 At its peak, the New York based Klots Throwing Company operated 14 mills, employed 6,000 workers and generated annual sales of about $50 million. 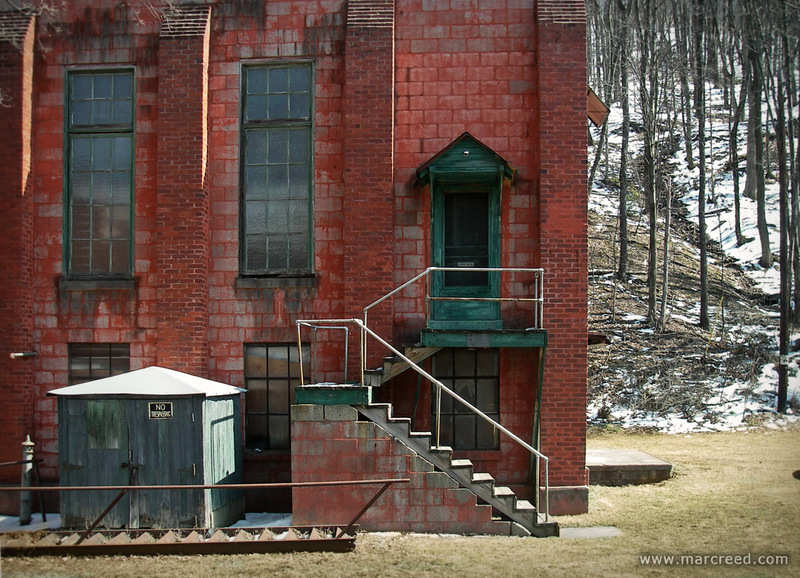 Like many industries of its day, this mill was positioned close to its primary fuel source: coal. 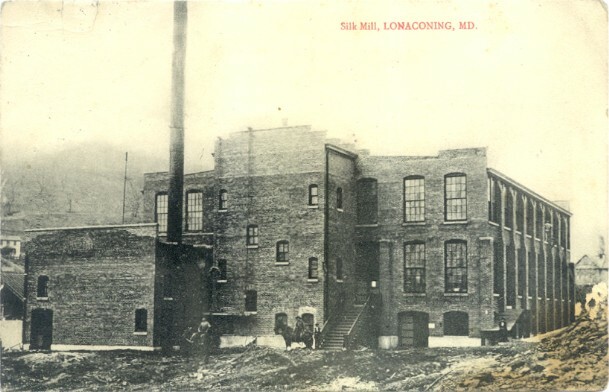 The men of the region largely worked in the coal mines of the George's Creek Valley, so the workforce of this mill was made up primarily of women and children. 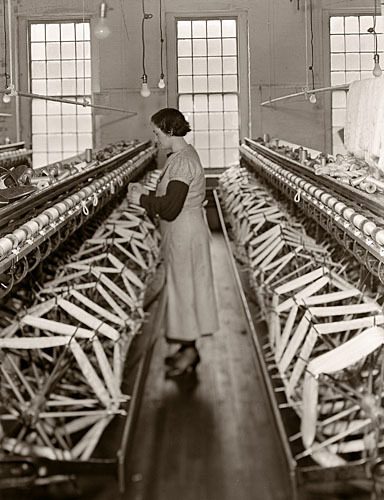 80% of the workforce was female, and mill records indicate that between the mill's opening in 1905 until the late 1920s, 81% of the workers were aged fourteen to seventeen years at hire. 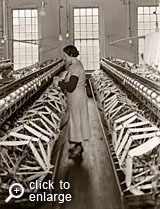 World War II was a difficult time for the US silk industry. Supplies of silk cocoons from Japan and the far east were cut off, and the market shifted toward synthetic fabrics. 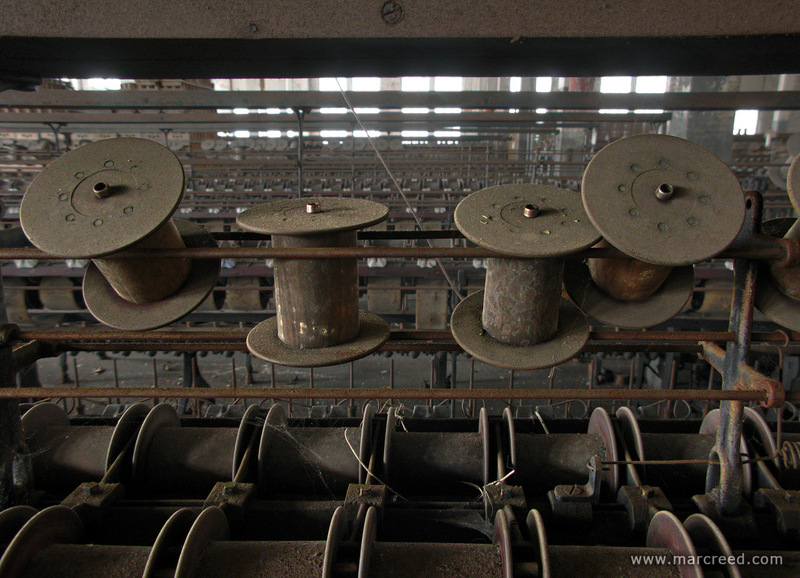 Rayon and nylon required a very different manufacturing process. 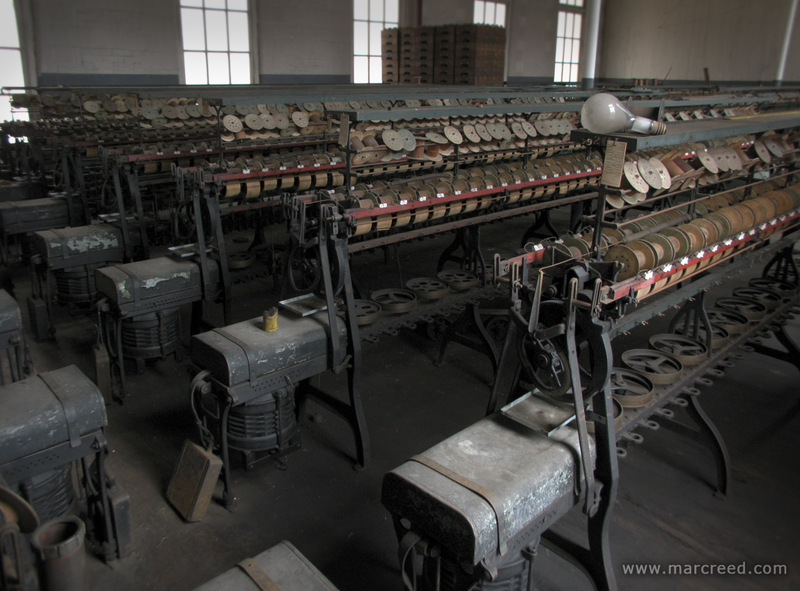 The silk machines at Klotz became obsolete, and the old silk mills started shutting down. 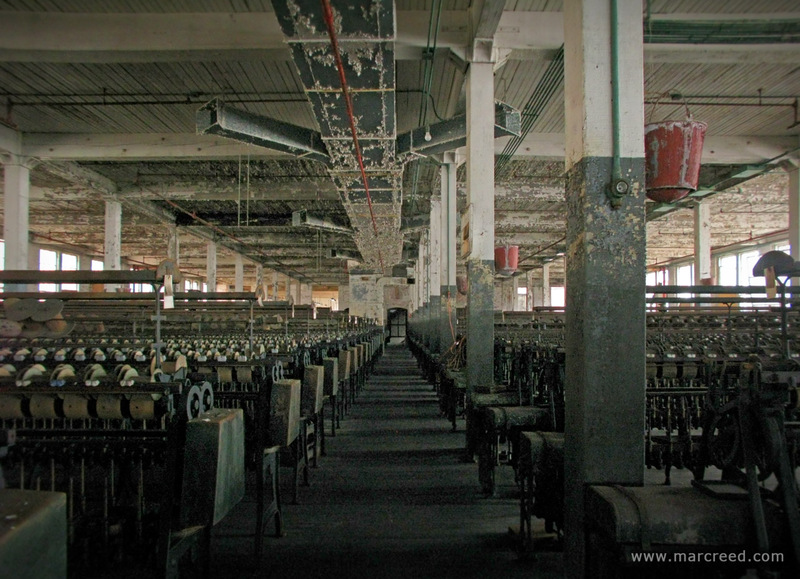 This mill is not only the last standing Klotz mill, it is the last of its kind. 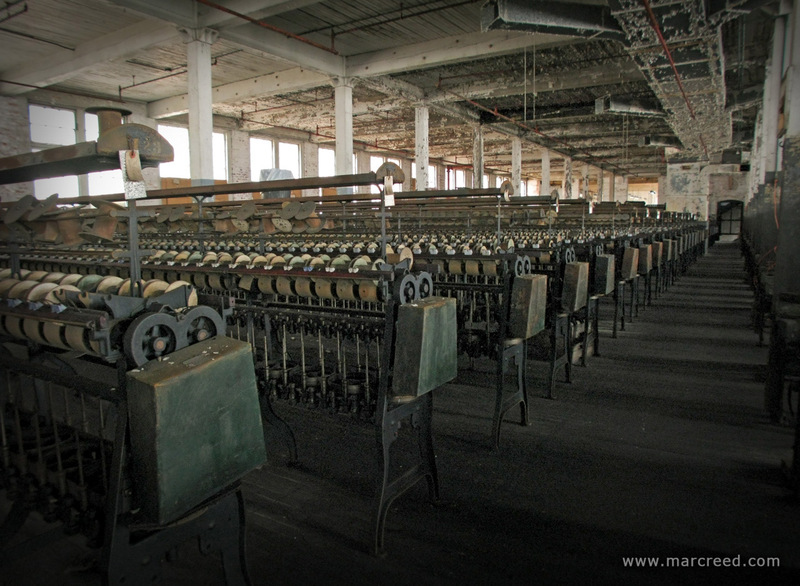 Its doors were closed in 1957, and today it stands remarkably intact: 48,000 square feet of mill floor, 360 twisting, winding, and spinning machines, steam and drying chambers, and tons of parts and accessories - left exactly as they stood 56 years ago. 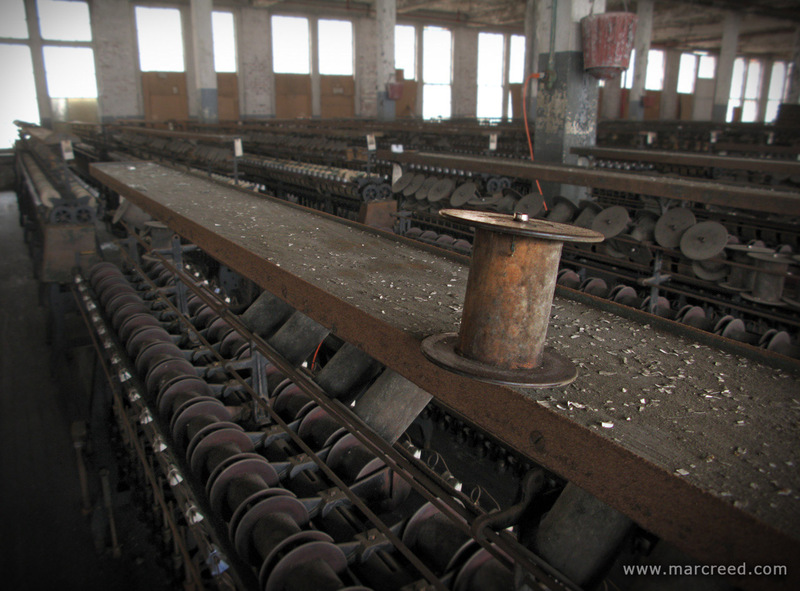 Decades ago spinning mills such as this were commonplace. But today - as far as anybody knows - this is the last one like it left in America. Certainly it is the most intact. 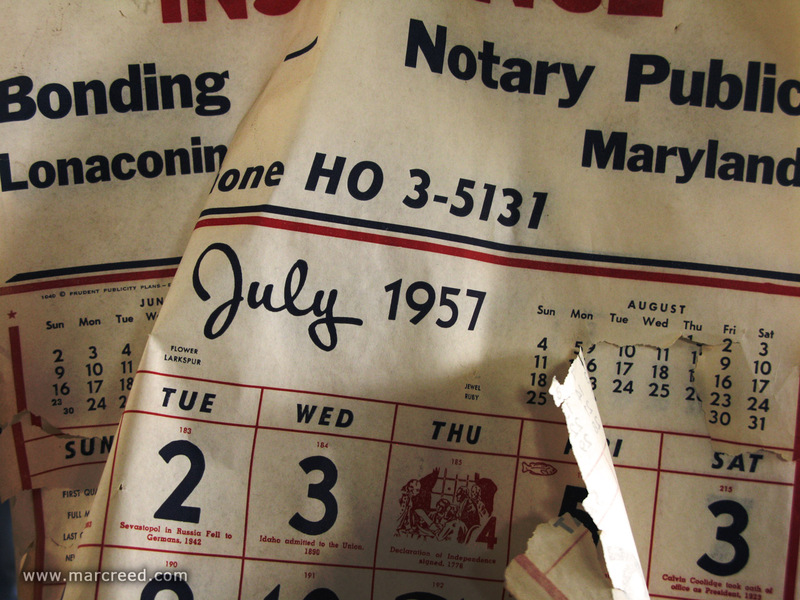 Herb Crawford bought the already vacant property in the mid 1980s with plans to convert it into an office complex, but those plans never materialized. Despite his initial plans for investment, he is keenly aware of the site's historic significance. He has turned down several profitable offers from scrapping and demolition companies who would love to sell his historic machines for their weight in scrap metal. He has also turned down offers from historic preservation groups who he says typically "offer too little and expect too much". 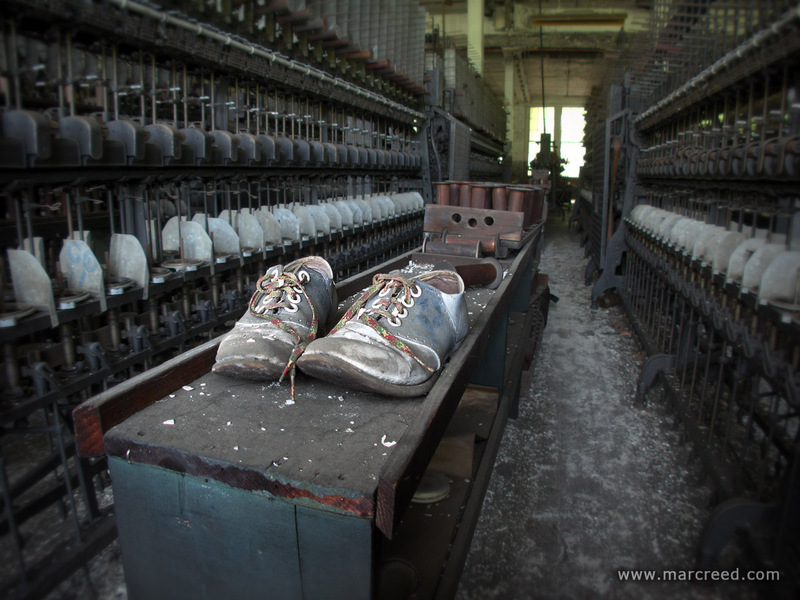 About a year ago, word of Herb's mill reached photography student Matthew Christopher who managed to convince him that there was money to be made from allowing photography tours. 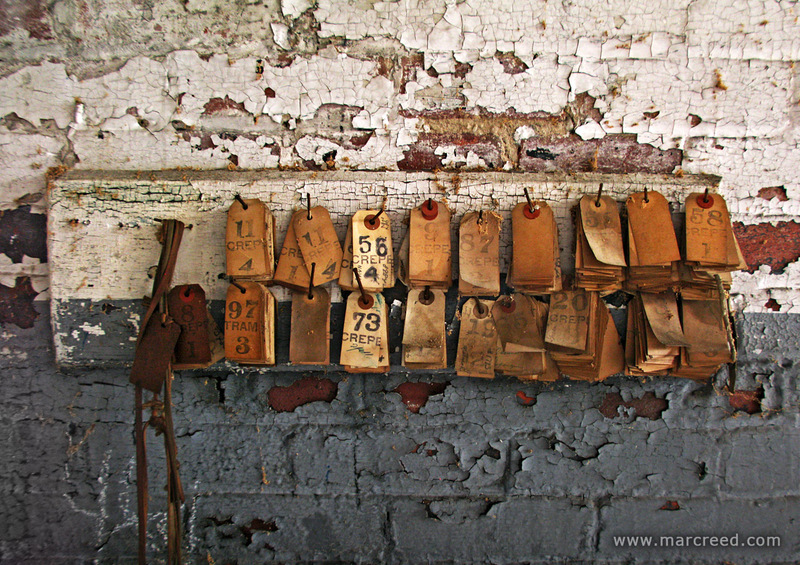 So for now, Herb allows photography groups, and proceeds go toward the immediate need to repair the roof. 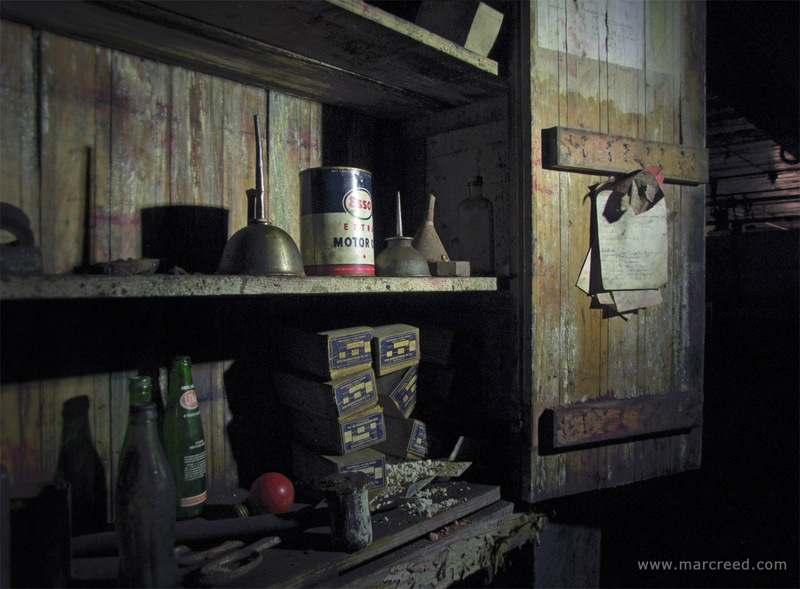 But Herb is in his mid-seventies and has held onto this property for nearly 30 years. The money from the photo groups may amount to enough to fix the leaky roof, but the future of this historic and unlikely place remains uncertain. Out of respect for Herb's privacy I won't post his phone number here (he has no email), but if you're interested in scheduling your own photography trip to this place contact me and I can provide the details. Thank you for taking the time to watch and read, and I promise it won't be so long till my next post! Just took one of the photo tour's a couple of days ago. Well worth the time and money! You even get a free souvenier spindle! Marc, fantastic video! Herb is a great and accommodating fella!